Girl, turn heads in this killer midi dress. 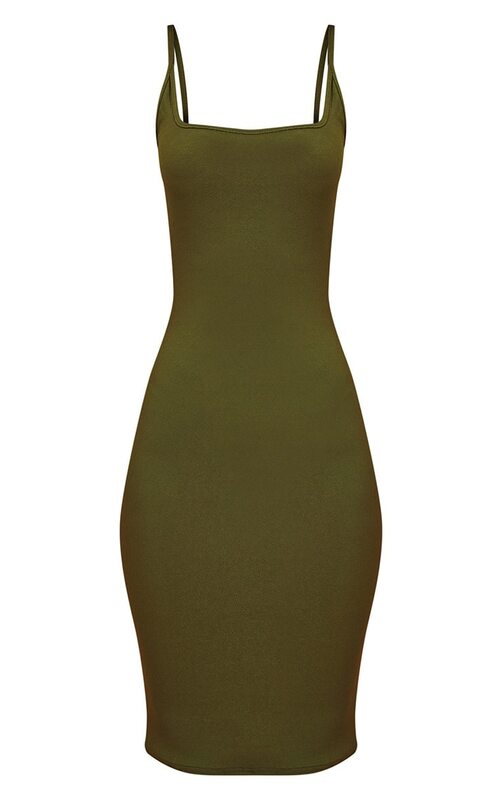 Featuring a khaki material with a square neckline and thin straps in a figure-hugging style. Team with black strappy heels for that Saturday night look.